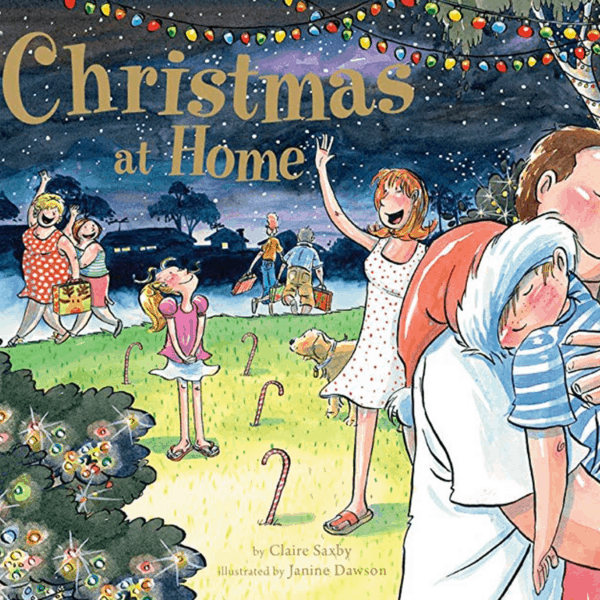 Claire Saxby’s favourite word is ‘try’ – an interesting choice for an author who has achieved so much in her career as a successful children’s book author. 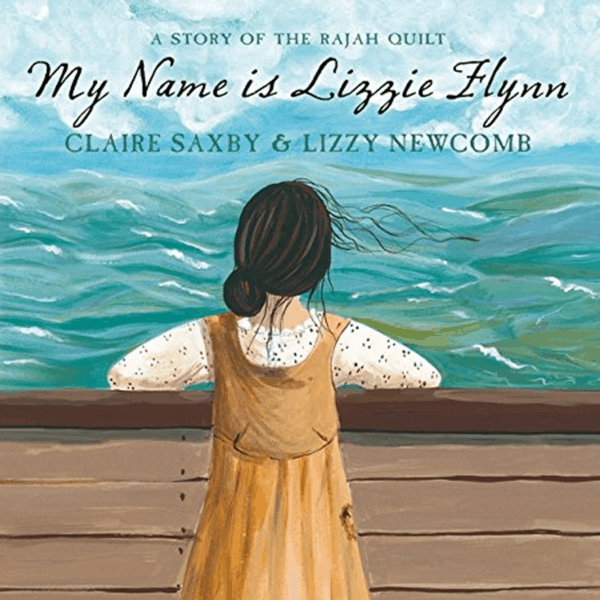 A lyrical writer with a love of unusual words, Claire has written poetry, fiction and non-fiction for young people on subjects as diverse as Weary Dunlop, the Anzacs, koalas, emus and the Rajah Quilt. 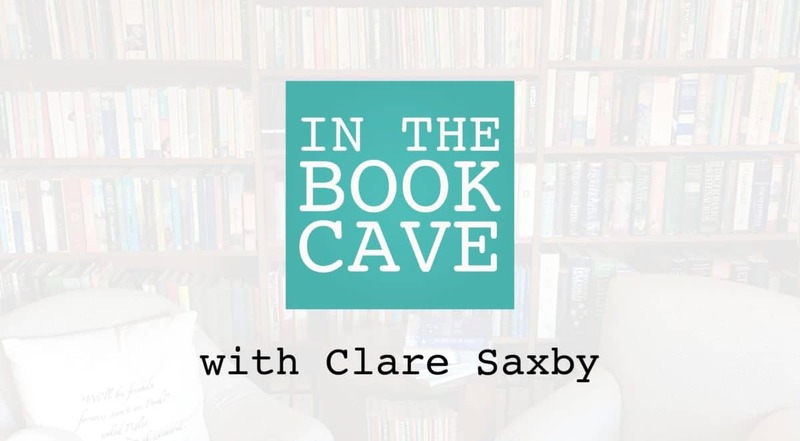 A compelling interview which looks at how she writes, what inspires her and the challenges attached to writing books for children, Claire Saxby was a welcome guest In the Book Cave. children’s books fiction non-fiction and poetry. So clear very interested in your wonderful range of books you’ve written a good number and are obviously very successful are published both in Australia and internationally how did you begin. [0:37] I began with a 6 week course about trying to help children learn to read in the classroom. [0:48] We have been doing that as a parent group for some time and the. Ed Kashi partment decided that we needed to be train to do this so they did this setup the six week course and at the end of that the teacher who was running it. side is focused sort of Fire came out it totally accidentally something else was writing ah yeah. Was that what you meant you to do. it was just a sort of organic thing you actually discovered in you that you have a talent for writing children’s rowsell did you actually go and do some kind of right due to some classes I did a quite a few classes I thought. Your sense of writing for children what is it that draws you to that you say it makes you feel fat man you feel like you’re coming home what is it about writing for children I think the thing that I like. [2:49] Awesome I like I finished all sorts of different things not just one and writing for children allowed me to explore. All of the parts of me all of the curiosities that I have so I want to play with language and for preschool-aged children and. and then with the Histories they Discovery. Of who makes me me and who who has helped shapes. recently come through very strongly in your books and I can ticularly like this cell my name is Lizzie Flynn which is. I can appoint unexpected but really endearing and interesting and really compelling in a way it was for children what age would you recommend this for. [5:09] In Williamstown digging diggy diggy diggy and discovered that the street on which the library. [5:19] Is situated was named for the man who was Captain of the ship my story. Circles and you know less than six degrees of separation and no. quick Lillian for children in an office is very successfully aimed at children but you don’t hold back on the greediness in the dark time what these convict women. it was quite intentional I think we glass over. The dark parts about history at our peril I think if we want to. [7:05] Learn from the experiences of our history we need to confront them. And look at them honestly and that’s what I tried to do to say this wasn’t. [7:17] Sausage I bet you never saw her place a cruise no their lives we’re not. Pleasurable in any way that even making of this quilt. Would have been seen by some of them as Whangarei another insult because they make it for someone who had. Much more than that Sevendust is very much trying to. In a while Lizzie herself is based on a real character with so did you do with that she only Leslie Flynn wasn’t but a 13-year-old girl was right and I.
I didn’t want to use a real person because she has descendants and so I have used to crime but none of her crime I have used to age. In the existence the basis has to be to her into the other women who were transported that time yeah it’s it’s beautifully written thank you and I think very powerful. In because it is because you don’t shy away from the dark. And confronting in the difficulty of that particular part of our history Mickey I think I think that was really wonderful. So you actually once said you know I think you have a great attitude towards fear. much worse than the reality often turns out to be so when you’re working on your books for children and working with children cos I know you give a lot of talks in schools. [8:59] In what ways you think the books help children with fear. [9:05] They can choose when they when it’s too much and they can close the book and walk away. But I also see resolution they see our successful outcomes. So they see the journey that the model for them which hopefully give them some sort of sense that there will be something beyond this particular for you if it’ll be something beyond it that will be worth. and the first time I presented that to a prep classroom with small child put their hand up and. Oh my dog died that’s terribly sad another hand up. My dog died too little prep in the front row or two hand up my guinea pig died. I’m sorry I rapidly lost control of it but you just never know. [10:18] What will q r m a conversation. because I think it would become quite obvious that that’s what you doing I try to shape a story. they’re not real people but there is close to realise they can be and they’re trying to make them on a true and honest and try not to prescribe what it is that someone takes from that. Because that way Madness lies yes because you can’t control what they’re bringing to the book. 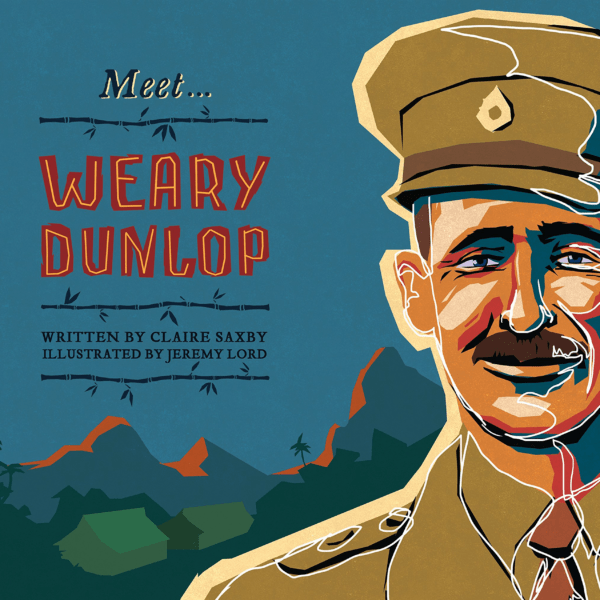 also we have met the Anzacs and then meet Weary Dunlop and of course Weary Dunlop with a very famous Australian of the Second World War. in presence of War during the Japanese occupation of the Singapore Malaysia Intuit burma-siam and the men who worked on the messiah railway and which my great uncle was one. 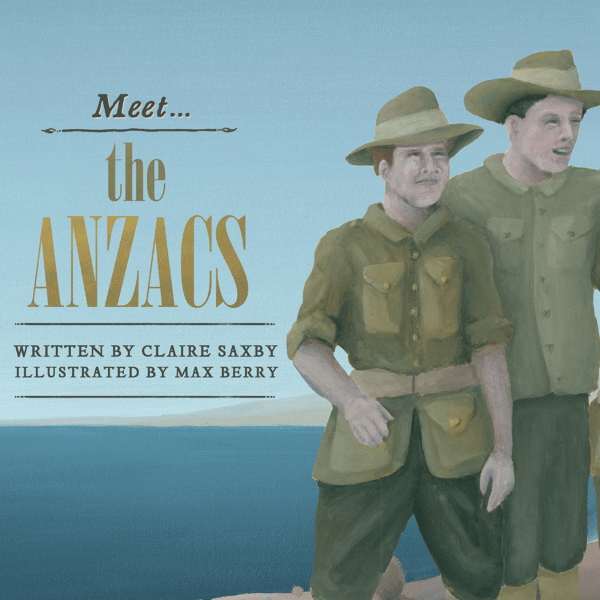 But I found it fascinating the Anzacs is a really interesting book and not at all again what I might have expected because it does is wonderful job of telling us. [12:36] The history of how the men went to war in 1914 in 1915 and of course a lot of things were not at all what they expected. and you take us eventually to the Gallipoli Peninsula which you know is where in the Gallipoli experience again. [13:19] Would like nothing they could have imagined is in fact the final page and. Tell me about that I probably would’ve been. The first person to hide my young men in the hills if war been declared when they were at an age where that was inappropriate. Where where they were calling up our young man you have some I have three son I don’t want them to go to war I don’t know that war serves any. It’s just too costly part for anything else in terms of live soon so when I was asked to write this one. I asked with some time to think about it and they said there isn’t any time you could have 24-hour. In the middle of the night when many revelations come I woke up and I could write how they came to be there. And that way I don’t have to buy again I don’t know how that happened I didn’t know the world into it so happened and I was very aware that. In pitching to the publisher that could be the end they could say that’s not what we want we’ll go somewhere else. And I said happens I took it to the marketing partner and they said that’s never been done do it. has been through grade 2 up and I wanted it to be I didn’t want to be the one that confronted their children. and you don’t you you do take us right into the jungles and do the Burma Siam railway. Obviously you you give us a lovely biographical history of Dunlop himself and I did love the explanation of his name. by the Japanese during this terrible time but you do give us enough of the hard parts I think. It really highlight dunlops achievements and it’s contribution really tricky path to walk the sun. Trying to honour the men and their suffering. [17:28] Trying not to demonize a new generation of readers against the Japanese but represents. The conflict in a way. [17:42] It is that was again not sugar coating it but appropriate to a younger audience so I guess what I’m trying to do in my step my book series 2 ignite curiosity I want them to come out of me and with the. how long does it take I’m in you know all this is not a lot of words per say research and getting that balance right that must take. [18:20] A long time does the few words that there are in a text the the more each one of them has to work the harder it on haven’t you and soak in condensing. [18:35] For example in the start of that his early life is fest 35 years I condensed into something like 15 words but then to go to sort of show episodes of his. Time in the camps in the different camps in his role and bring them down to their essence to distil them to The Essence but to still. [19:05] Takes it is it a distillation process you start with this many words and you come down and you come down and you come down and you come down and. It can be that you know one page one phrase can take you hours or Days Inn once you’ve got all information that the iceberg of the research behind you. Coming down to the piece that absolutely must be there to connect the one before in the one after but also to represent the situation at that time it’s. [19:41] I do a lot of leaving and probably my best house cleaning happens when I’m sick when I’m agonizing over the the actual three words that have to be there in what order they need a n i think I read that you want spent. possibly Adler kitchen floor things for desperate and came back to swap into around and said and she said that’s it so that’s how long I can take a nap. Like it is a dramatic example of it better that is quite symptomatic of what it’s like quite a little less exactly where it’s like that is extraordinary yeah I mean. [20:49] Is it making it look like it’s easy unfortunately that means that it’s often very difficult but I choose it I love it I think that’s part of the right is dilemma though is that. herself in the chair and whether with pan or computer put the words down and again to most people that doesn’t look like work but. 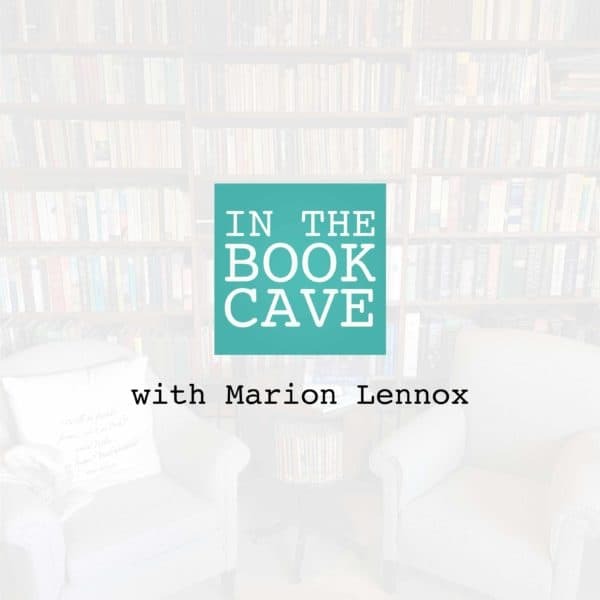 [21:37] Any author the hose that it is incredibly hard incredibly difficult and even just that word choice and we’ve often talked in the book cave to different authors about this. I’m fascinated by the fact that we have this Vocabulary in English about half a million words but it’s at selection. And one writer can take the same vocab room put the words in a particular order and produce a particular kind of or can another awful take the same word. Completely different dinner part of the magic it takes tremendous kill and you you clearly have it you know these books, crosses. if you’re writing to particularly these two books which I just laughed and particularly emu I think. and. Tell us about this book start these protests. long narrative narrative non-fiction I want to I want to be. As close as I can get without sort of dining oh and then you skin feel like I want to to know their movements in their natural waves and s i Immerse myself in there. In a store in am no there every text I can find wherever I can find it The Experts gone watch them. when I go into schools I get to a child to put their hands in pants Insider their jumper and then fall over. And once a fallen over I tell him have to get up without using your elbows and it’s very difficult but it shows very clearly what it’s like when you’re a long skinny animal. helps me sort of understand what it’s like to be an I don’t have any aspirations to be an animal but I want to get close enough that what I’m representing. Create the images really powerful images of what day. [24:44] How they are they have a lips yeah well you certainly achievers I mean the emu babies are just beautiful of course lots of people don’t realise that their striped when they’re born. So they camouflage in the Grasslands and I think wild melons to a striped and that’s another. Reason for them to grow taller they lose their stripes soon why do they list because. If I had stripes when they’re taller than the grass then it would be a counter camouflage yeah it’s an arrow one for them so the fact that they change. that described how their heads look as a poster the stripes on their body had to be the right word stipple stipple I love it for one the word will I just go to read a tiny bit if that’s alright because the language a happy so beautiful. [25:44] I love this for months emu and his mate have Dance song and word each other together they have built a leafy ground Nest now she perches next to him and laser final egg. Then she’s gone emu gathers the egg under him and gentles down. that will care for the eggs and raise the chicks until they’re old enough to be independent and that of course is one of those wonderful aberrations in the animal world to put it together so beautifully. This is a book all your books have wonderful illustrators but this book particularily a stunning is just superb and I have to show. I ordered this wonderful picture of an eagle flying overhead incorporate the shadow. oh the image and this is the one I try and purchase one from every one of my books to have on my walls and this is the mu Tightrope because this one for me. Amy is and then you say that caravanning know they’ve The Zig Zag pathway and the dia pop almost apocalyptic. in any sort of sense but I think this is this is how it’s made and this is this is where it goes and I’d love. [28:14] That image particularly it’s superb the other thing that I love about these animal books because you’ve also done the red kangaroo one which I love which I don’t have unfortunately and koala which will talk about in a minute I love the fact that you. 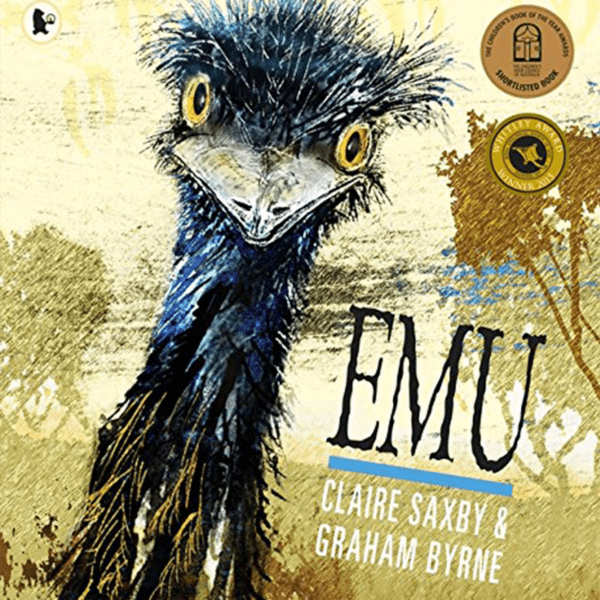 Because it’s nonfiction you tell this gorgeous story which gives us so you know Chapman verse on emus but in such a lyrical way but then you have in a different font the. the new detectives from a particular about a particular individual or family and then the other is about 2 species and so hopefully. In reading the the Lyric Theatre 10th there will be questions generated which can be answered and it also means that whoever sharing this book can make decisions about. How much do the story of a share whether they just read straight through with a narrative or whether they break and and share the information and add value add to the story. [29:38] Your idea no no no this is a Ritalin with an English series and that’s a couple of American titles and the first aider little winkle did one on bilbies and then I can eat away at Kangaroo. [29:52] Dave I have a new one dingo coming out proud of next year my favourite and echidna. Platypus Platypus about Sue whiting and it’s illustrated by Mike Jackson. you know don’t rza from the difficult aspects of being a koala sleep for. [30:42] Connecting a dynamic narrative around that required going outside the what we currently know you know what we popular Lily know. 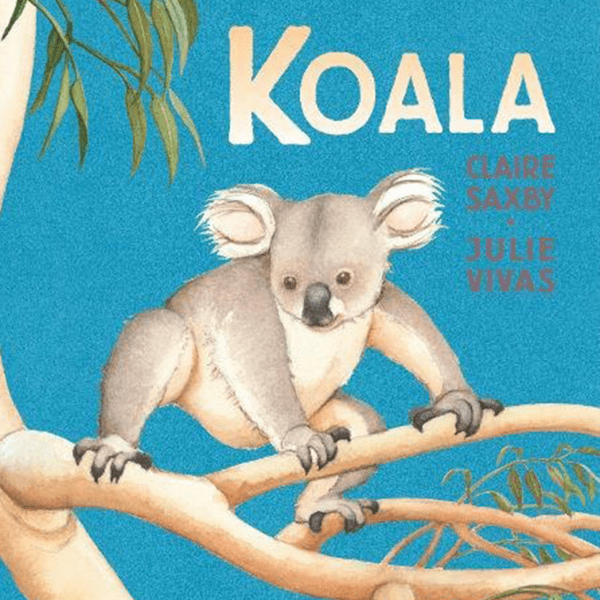 you know I might help Koalas and had a koala’s but it was just so much wonderful information and beautifully presented. You know so tell me about the research how did you do this because we not surrounded by koalas. [31:32] A lot of reading a lot of reading a lot of asking questions of people. and spoke online and I’ve been check it on written resources so the Internet is great for. [32:24] Most racist staff in the kitten weight through. The address the mess with Jeff and written things can be great for detail. accepted and I met with my editor and she said this is really but we can publish this. [33:06] But we think you can do it again would like to do with a different focus so I then started again. [33:16] How long did it take you. [33:24] And then I didn’t have to do the research again I just had to change the focus of the story they wanted me to they wanted it to be slightly. Slightly younger and pear back more ok and so the labour to mess is slightly. and it around him I love those two words I’ve never seen plump and Plitt before I.
could you just sound exactly like raindrops falling have a number of the sources and. wonderful did you make up these worth sure I don’t think so because they’re just such. Wonderful words I think I found them but I don’t know that I’ve ever seen like I’ve no minutes or if it’s on dislike. see you because I don’t think I find really valuable is having somebody else come out it cold and read it to me and I can listen to where. to read it out loud to somebody then I can hear. Where what I’m saying it’s not quite what I wanted to say but if I get a stranger to read it the stranger to the tech to read it to me then. [36:02] I see where they trip and I can have another look at it and and my ideal is if I can get it to a point where a stranger can pick it up and read it and get the cadence right love music. [36:17] I sing in a choir but I think saying I was musical would be overstating it you clearly have an ear though. and I thought I had to leave this one to last because of course we heading into the Festive season and Christmas at home. 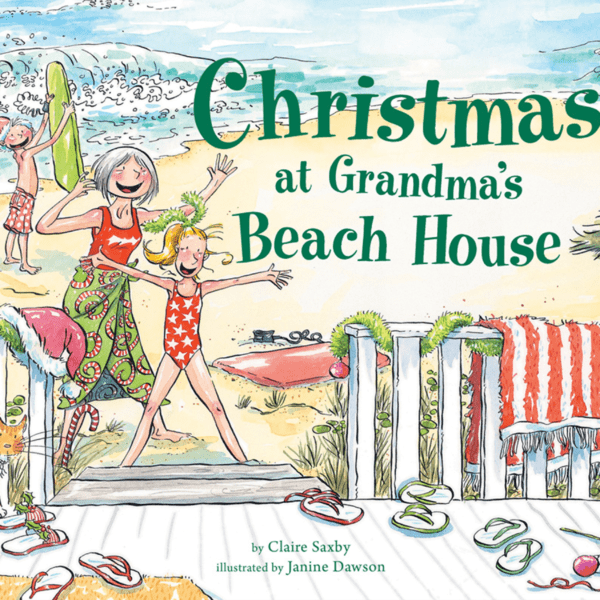 yes which I thought was wonderful so the other one is Christmas at Grandma’s Beach House yes it’s the 12 Days of Christmas wonderful wonderful obviously Perfect Christmas reading. And if TV and all of that so. do you have any say in Illustrator so they certainly have more opportunity to at least here I don’t necessarily. [38:18] Gather her go really vote as it were a bit I never see what my characters look like unless you know Weary Dunlop. Letter to look at Weary Dunlop for those I am inside my characters looking out at the world in which they live and so unless it’s relevant for plot I have no interest in what characters look like so. I rely on my publisher thanator tooth. To to bring somebody to it that will have their own PC cos I don’t give any instruction at all wonder about how it should be in an I want the magic. [38:55] I want to send I want to see what my words conjure for somebody else so. What’s it like receiving get sent the illustrator sketches. Skechers first black and white and then colour sometimes colour printer colour image at same time afterwards. it’s fascinating to see how somebody has Illustrated the spaces between the words it’s really because I bring the whole other story to it that I can’t. so if we have somebody else’s Prime and then we’ve got this brain it puts us together and combines it then accommodation is much better than the sum of the parts and that’s the magic of picture books. [39:49] So beautifully said so have you ever had it where you received illustrations that you can’t of God. the final image he is convinced to spend some time looking under them if the surface of the water at race when he sees this octopus. [40:16] The illustration came back with a monster of the tape and so I went back to the publisher and I feel it. I love this image it’s a really nice image however it it fights The Testament XD you know any sensible person would be scared. Of an animal of the size rightly so and not only did they not listen they put that on the front cover. do you get more illustrations on the book needs or is it always exact right number do and you get to sort of have a say about. Where they go or whether there should be some different varies depending on the publisher. I’m one book not so long ago there was some suggestions the illustrated had done it in the entire book and the publisher thought that. Distant it should go back here and that image. there’s not much that I would say I don’t think that fits. [41:47] So I didn’t hello in a kangaroo when there’s an image which is quite and iconic image about kangaroos laying back on their tail and fighting another kangaroo from my reading is that’s actually quite uncommon. And so when this image came with this beautiful big full moon and a kangaroo kicking silhouetted against it does have three fantastic. you’re certainly in history there’s people let you feel like so really you know. [43:39] Maybe maybe you should have another think about that before you do it in public school. [43:46] The benefit of hindsight it’s a wonderful thing I can go back to my own and this many times I can do with a decent shake. [43:56] Yeah I think so I think so I think a son but yes it would be nice when you get so close into them when you’re researching for a project you certainly know you could laugh could have been so much sick so much want. and in Canberra they have their websites amazing and I read for the landing I read the accounts of her. But he Sgt to her it was a person who is in charge of other other men who had been. See I think he had been to the Boer War failure and I read The Count of a young man. He was really excited and there was a third account. [44:56] Of somebody who was in charge of others but had never been in that position before and to contrast the Diaries of those three people all the letters home for me with a fascinating fantasy. she found it incredibly difficult only possible to find a bright side to her own troubles and I think it so you know I only sort of. Our children you know all together and just celebrating you know different different races different cultures coming definition. [47:30] Monster it’s like a running gag going through yes if an Inuit. but before we go we always ask our guest offer to contribute verbally their contribution to our virtual time capsule. 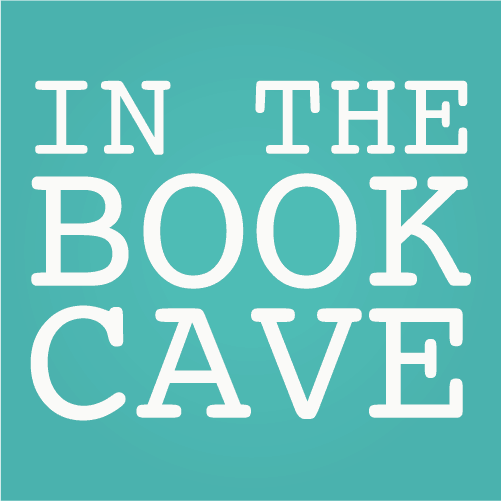 Book cave book bin and you need to tell us the three books that you would leave the world in a time capsule on the KK read 1000 years from now. say that you have hear out I have my dictionary. look at their which words and when and how and I think that would be a fantastic thing and I time consumer one of my favourite books. As a child was a collection of fairy-tales is 132 pages and it is a collection from many different. [49:25] Cultures and there’s something in there if I’m feeling like being inspired there’s something in there if I’m thing feeling like the world is it. [49:35] Wicked place and there is something for every mood for everything and I think that would be. Something that would want to have with me and fairy-tales are such wonderful. SpringBoard into other stories imaginations and things would definitely be there and I think the third one I had called. [50:02] Patchwork prisoners where tooth when I was researching my name is Lizzie Flynn I had to go to many many many different websites. aboard ship and this patchwork prisoners came out of it through 4 months after Lizzie Flynn did and has everything in there. That I would have needed to do to write this book. Please do didn’t come out and at the same time for a couple of reasons why is that it. [50:40] It would then have been that my book had come out of that book and it didn’t say came out of the same interest but offered cos it’s an academic text here and. I feel quite validated it there’s nothing in there that disprove all that what I put in there it is not accurate. But I really like to read it in great depth NM. Form which my research wasn’t necessarily so I would take that with me as well wonderful and the great thing to leave the world to. Experiences to have the world could not repeat that would be enough time to memorise. [51:22] Certain the world will need a dictionary in 1000 years from now. Clare Saxby pin absolute pleasure and July having you in the book cave.